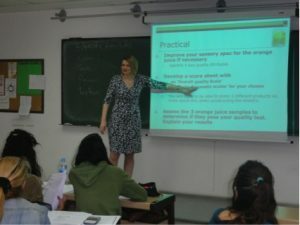 In May 2017 Dr Rebecca Ford, lecturer from University of Nottingham, member of the UK’s IFST Sensory Science Group, visited the Universidad Politécnica de Madrid at the invitation of lecturer Dr Carolina Chaya of AEPAS to deliver a well attended research talk entitled “Flavour and physiology – how fMRI can be used to understand flavour perception” . June 2015: Apples and Elderflowers! 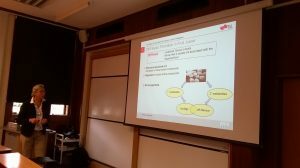 Barbara Seigmund, Chair of the Sensory Network Austria accepted an invitation from Joanne Hort of the UK’s Sensory Science Group to give a talk at the University of Nottingham during her recent sabbatical at the Univeristy of Reading in the UK. Barbara gave an interesting talk concerning the combined use of sensory and analytical chemistry techniques to progress our understanding of the flavour of apples and elderflowers, two important commodities grown in Austria. 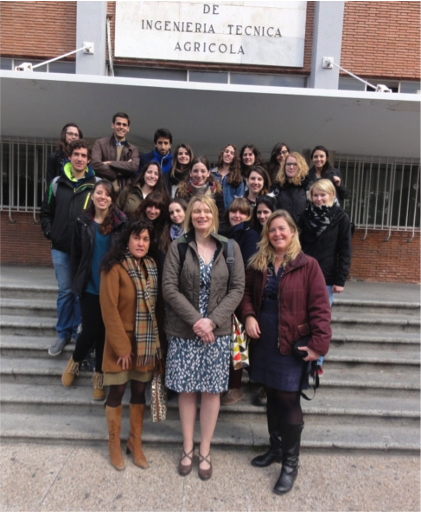 In March 2015 Joanne Hort (University of Nottingham) visited the Technical University of Madrid (TUM) and participated in the 3rd year Degree subject “Sensory Analysis of Food”. She delivered 8 hours training on theoretical and practical sessions of Sensory Methods applied in Quality Control programs. This is part of a teaching collaboration between Joanne Hort and Carolina Chaya, as E3S members, which began in 2012 till nowadays. 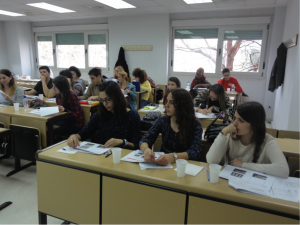 The collaboration benefits not only both professors but also the undergraduate and master students from both Universities. 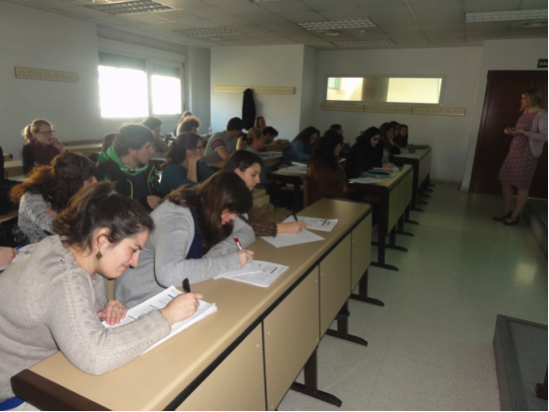 In the case of TUM students the collaboration is aimed also at improving internationalisation as well as English language skills of local undergraduate students. 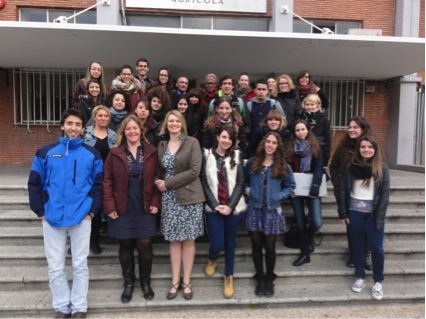 In March 2014 Prof Joanne Hort of the UK’s IFST Sensory Science Group visited the Technical University of Madrid at the invitation of Dr Carolina Chaya of AEPAS to deliver a Sensory Science course in English to Spanish and International students on an Athens programme. 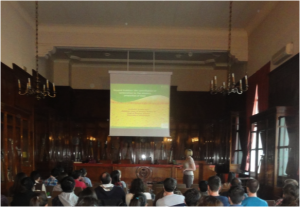 During her visit AEPAS also invited her to give a well attended research talk on her work concerning the impact of carbonation on the sensory perception of beer by the Spanish Sensory group. Professor Erminio Monteleone, Treasurer of the European Sensory Society (E3S) was invited by Liv Bente Strandos, Chair of the Norwegian Sensory Network (SSG), to attend their recent members meeting at Nofima, the Norwegian Institute of Food, Fisheries and Aquaculture Research. 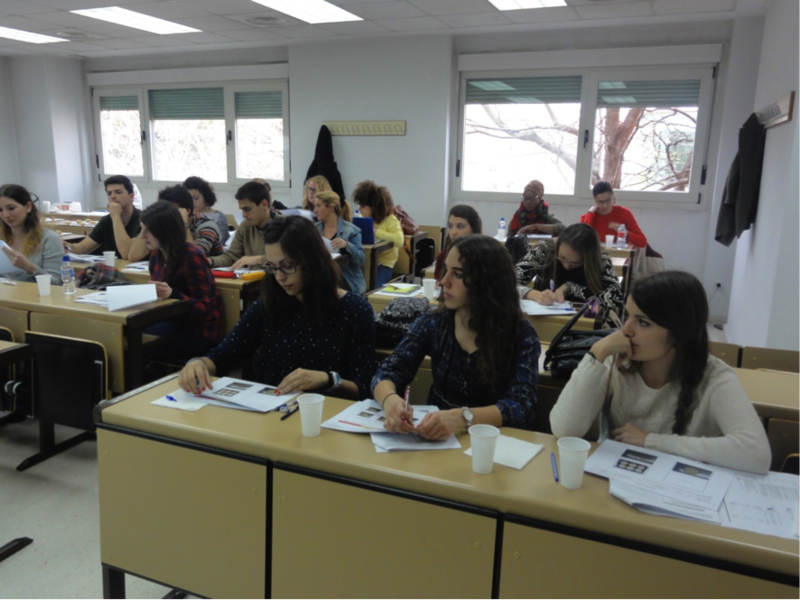 During the meeting Erminio presented the structure, activities and initiatives underway within E3S. 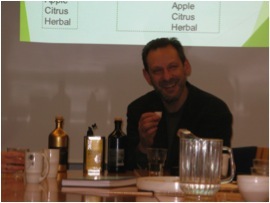 After the presentation of E3S Erminio held a lecture on Sensory science of olive oil which, of course, ended with a tasting of 3 different olive oils. Professor Joanne Hort together with members of the Irish Sensory Network working group including representatives of Teagasc, the Irish national agriculture and food development authority; the Agrifood and Biosciences Institute, Queen’s University Belfast; University College Dublin; University College Cork; Dublin Institute of Technology; Dept of Agriculture and Rural development, Northern Ireland; National University of Galway; Galway-Mayo Institute of Technology, Limerick Institute of Technology and the University of Ulster. E3S Chair Professor Joanne Hort met with Sensory Scientists from across Eire and Northern Ireland this month, at University College Dublin (UCD), to talk about the European Sensory Science Society and give attendees advice about the formation of an Irish Sensory Network. Joanne gave an overview of the formation, mission and activities of E3S, which was followed by a productive Q and A session. Key areas for discussion concerned the sustainability of a National body and the key factors ensuring its success. Joanne suggested that it was the passion and commitment of the people involved and securing the necessary finances that were key. Irish colleagues are currently waiting on final confirmation concerning government funding which will facilitate the establishment of their group. Joanne offered continued support for the group and indicated that E3S looked forward to their request in the near future to become the next National Member. 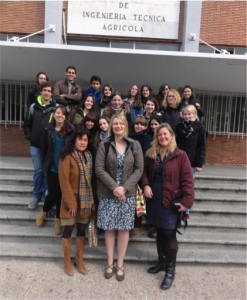 Joanne thanked Eimear Gallagher (Teagasc) and Amalia Scannell (UCD) for organising the meeting. 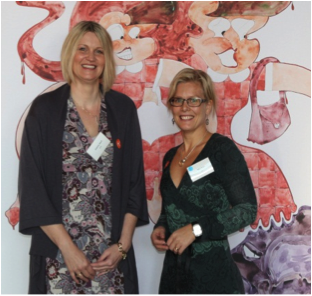 Professor Joanne Hort, Chair of the European Sensory Society (E3S) was invited by Mia Prim, Chair of the Swedish Sensory Network (SSN), to attend their recent members meeting ‘A Sensory Smorgasbord’ at the Sprit Museum in Stockholm. Joanne was able to discuss the issues facing Swedish Sensory Scientists in both Industry and Academia. During the meeting Joanne gave a talk which firstly gave an overview of the work of the UK’s Professional Food Sensory Group and then went on to discuss the structure, activities and initiatives underway within E3S. The full day’s programme included a talk on temporal sensory methods, two presentations on smell, and a final talk on the role of a sensory analyst in innovation, product development and quality from speakers in both academia and industry. Dr. Joanne Hort, Head of the Sensory Science Centre of the University of Nottingham, and Chair of the UK Professional Food Sensory Group, as part of the Erasmus programme between University of Nottingham and Technical University of Madrid and organised by the Spanish Professional Association of Sensory Science will give a lecture on 5th June at 17h in the Technical University of Madrid entitled “Multimodal perception: How all the senses influence flavour perception”. 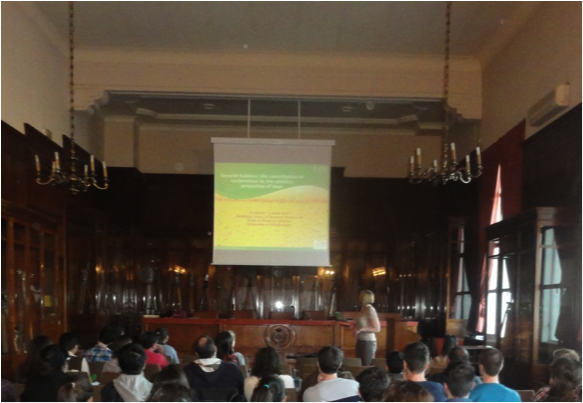 Interested people should send an email to aepas.agronomos@upm.es with name and affiliation. 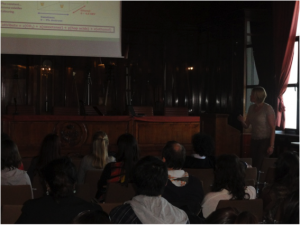 On 8 April 2013, Cindy Beeren, Vice Chair of IFST’s Professional Food Sensory Group (PFSG) and Head of Sensory, Consumer & Market Insight at Leatherhead Food Research gave a presentation about PFSG at French Association, Sens&Co at its recent General Assembly in Paris. 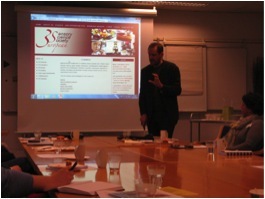 On 2 April 2012 Erminio Monteleone, professor at the University of Florence and chair of the European Sensory Science Society, gave a presentation about E3S at French Association Sens&Co at its General Assembly in Paris.